We had initially planned to do their session at Mt. Rainier, but in our planning realized the area we wanted to shoot at was fully snow covered. So instead we decided to drive 3 hours north of Seattle to do their engagements in the North Cascade Mountains. And BOY am I glad we did that!! 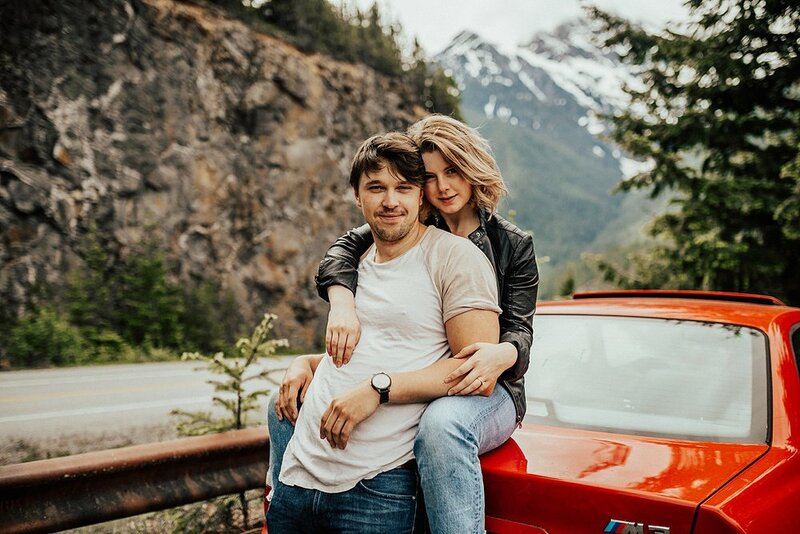 They picked me up at my Airbnb before sunrise, and the 3 of us road tripped up to the North Cascades National Park to get some epic portraits of their love in the classic PNW mountains. These two made the drive go SO quickly, and I had an absolute blast with these goofballs. 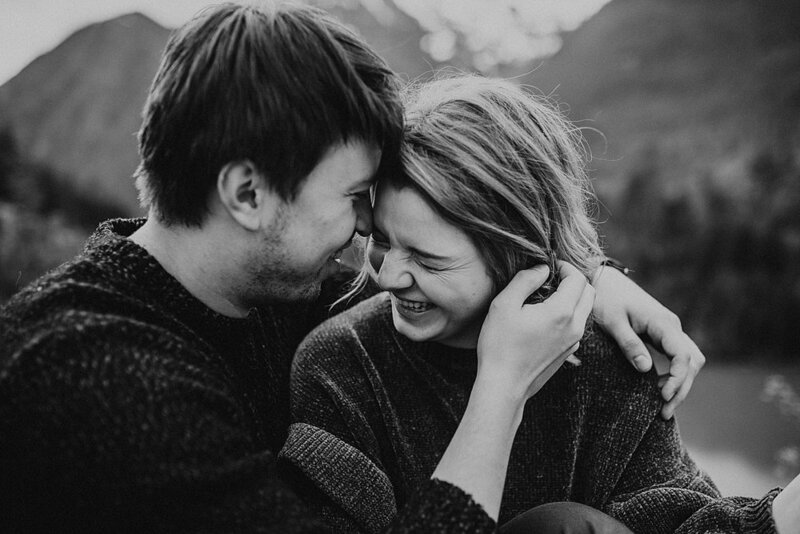 I think you’ll be able to tell from the photos that Rachel and Igor made the session so fun. I love it when clients are up for an adventure and trust me to make magic wherever we go! To end the shoot, we brought pizza and Moscato into the woods and had a mini picnic - as per Rachel’s initial request. 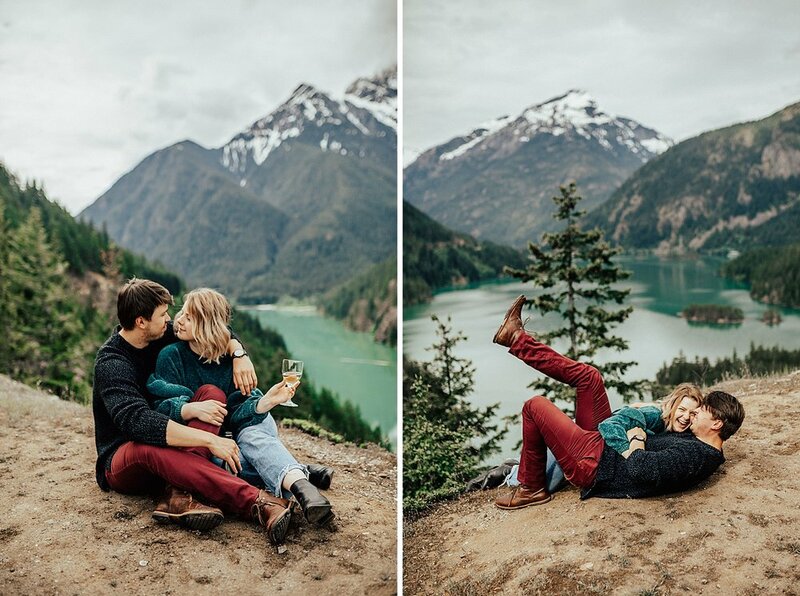 Enjoy Rachel & Igor’s adventurous engagement session in the North Cascades National Park!